…why your Organization is still running old tech in the middle of a digital revolution? Ever get the feeling you are wasting your time learning the quirks of your current system when the better, faster more efficient mouse trap is already on the market? The fact is most IT consumers rarely know where to go for new, proven tech; they rely on their IT Providers to do that for them. Unfortunately most IT vendors depend on a business model which renders rewards when scaling out older technology rather than researching the new. Often, financial incentives from vendors will also skew decision making. Did you know that the three most effective antivirus platforms currently hold the smallest market share? And antivirus is amongst the many system components easy to replace/deploy. When decisions are guided by the margins of an IT Provider, your organization’s bottom line will be adversely affected. Experience an evolution in the IT Provider’s business model. We offer the same benefits as our Manages Services competitors but with a slight twist. Our business model is predicated on a ‘Science first’ architecture. Sure, we have to make a profit like everyone else, but our main rewards are working with the right technology and doing business with the highest level of integrity. We are committed to our model, so much so that every ‘Flat Fee’ agreement with us features unprecedented transparency. We spell out how every budgeted dollar will be spent and report on every incident or support call. Imagine that your IT company actively researched new solutions for your Organization rather than trying to sell you the mouse trap they are most familiar. And what if these recommendations were guaranteed to work before you ever got started? Even better, when better tech makes it to market, the systems currently in place make it easy to update. Imagine that your computer system runs without a hitch the vast majority of the time, and when there is a problem, you can reach someone in often just seconds, they solve your problem and the distraction that made a sudden entrance stamped out just as quickly.  And more importantly, if the issue has a chance of reoccurring you can get helpful info on how to avoid it or the event triggers your IT team to adjust your systems, so the probability of re-occurrence is minimized and ultimately eliminated. Now stop trying to imagine all of that and contact us! 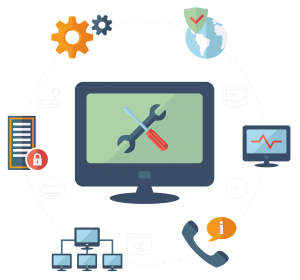 We will come to you, assess your systems and develop a game plan to modernize while keeping you on a budget. The longer you wait, the more money you will be spending on the tech you should be replacing. Call us and put our years of experience and enthusiasm to work for you! You will be glad you did.